Plate 15: Étude de jambs et de mouvements de bras pour une danseuse avec un tambourin From Edgar Degas, Vingt dessins: 1861-1896. Paris: Goupil, 1897. Ryerson and Burnham Libraries, Art Institute of Chicago. 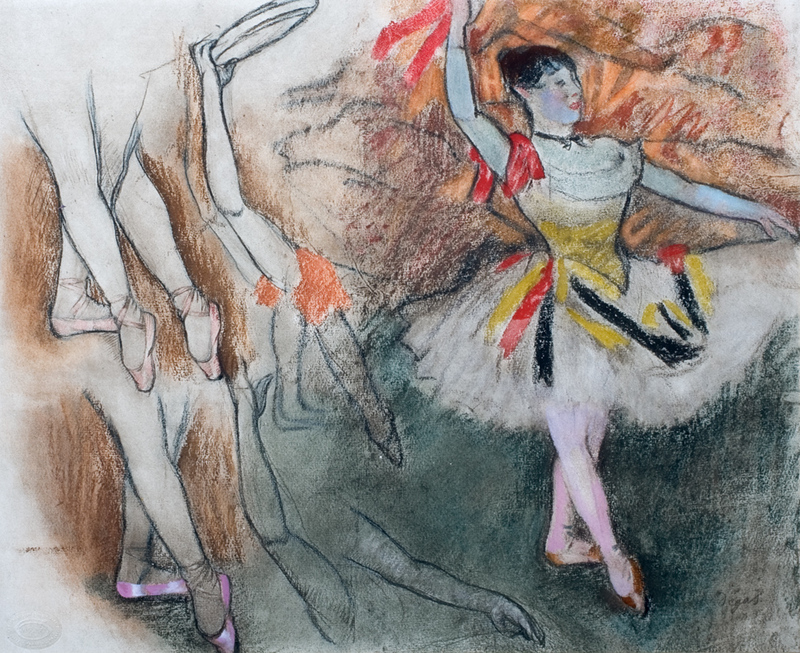 Degas made a number of trips to the Italian peninsula between 1856-1860, which gave him the opportunity to establish relationships with the Italian artistic community and paved the way for later friendships in Paris, including one with the Neapolitan printmaker and art dealer Michel Manzi. The artistic rapport between the two culminated in their collaboration on Vingt dessins (1897). Manzi’s perfection of the process of chromogravure enabled Degas to reproduce a fundamental part of his oeuvre. Vingt dessins was a retrospective of draftsmanship, curated by two individuals who respected the other’s talents, and who used these abilities to collaborate on a unique product. Read the digital version of the article, published via SCALAR, here. The article was originally published in the SECAC Review vol. xvi, no. 5. (2015), pp. 607-621.